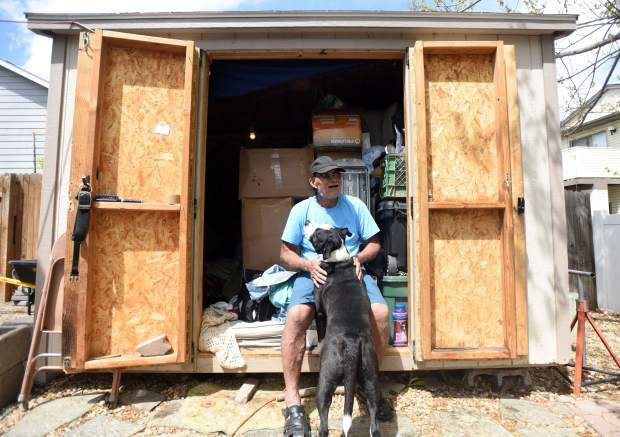 John Delgado sits in a shed he calls home behind a home in Evans. Delgado, a 65-year-old U.S. Marine and Vietnam veteran, was once one of numerous homeless veterans who struggle to take advantage of resources available to them. 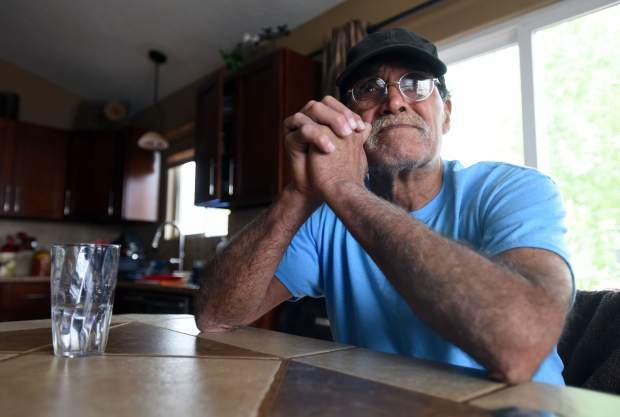 An effort from Larimer and Weld counties hopes to help veterans like him. John Delgado plays with his dog, Cash, outside the shed he lives in Thursday outside of Evans. Delgado lived on streets, under bridges and along Greeley's riverbanks before arriving at the 6-by-8-foot shed he now calls home. Wesley Waldvogle stands outside his tent off Poudre River this past month in Greeley. Waldvogle doesn't identify as a veteran, though he served in the Army. He says he doesn't want a house, a normal job or a lot of money. He only wants to live on the land and make just enough to get by. A sign shows off a few Bible verses Wesley Waldvogle memorized as he stands by his camp along the Poudre River this past month in Greeley. Wesley was removed from his camp the following day. Wesley Waldvogle shows one of the signs he uses when he stands along the streets in Greeley. John Delgado sits in the home of his partner's family Thursday in Evans. Delgado's partner, a woman he met a few years ago he calls his wife, is now in prison. 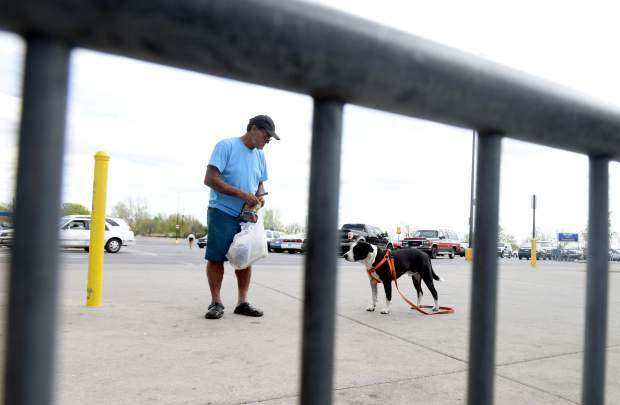 John Delgado glances back at his dog, Cash, as they walk through the Wal-Mart parking lot in Evans. He's rarely ever separated from his dog. 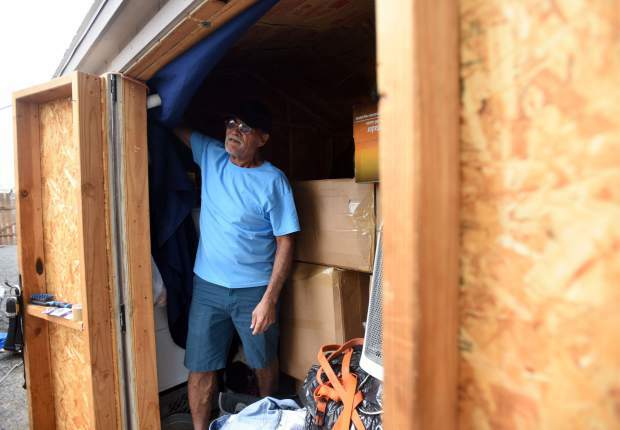 John Delgado pulls back a sheet that blocks the light from entering his shed in Evans. 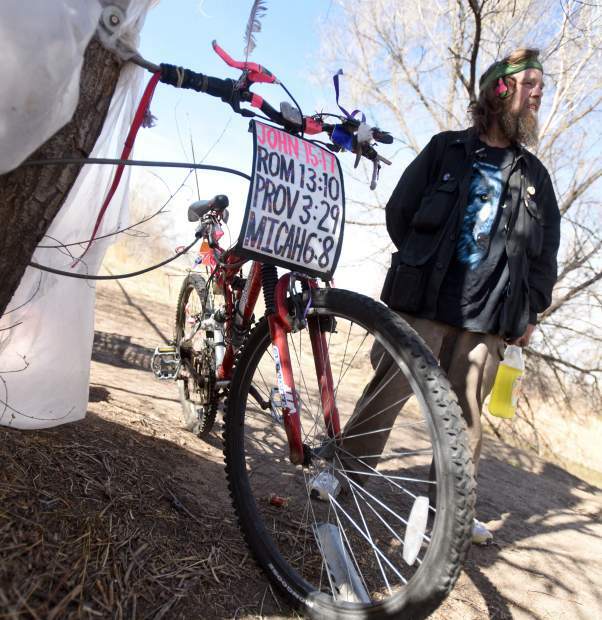 Wesley Waldvogle sits outside of his makeshift home along the Poudre River this past month in Greeley. Weld County Veterans Service Office assists residents who served in the U.S. Armed Forces and their families get any and all military benefits they might be eligible for. The Weld County office, 1008 9th St. in Greeley, and its staff serve as a free a liaison between veterans and the VA, according to information from the Weld County Veterans Service Office. » Service Connected Disability Compensation. » Burial & Survivor Benefits. The Weld County Veterans Service Office opens from 8 a.m. to 5 p.m. Monday through Thursday and from 8 a.m. to noon Fridays. 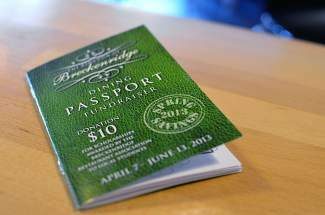 For more information, call (970) 400-3444. 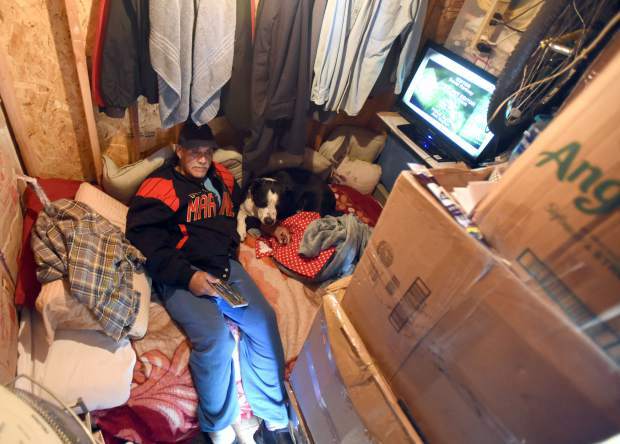 This story is part of a series on homelessness in Weld County. 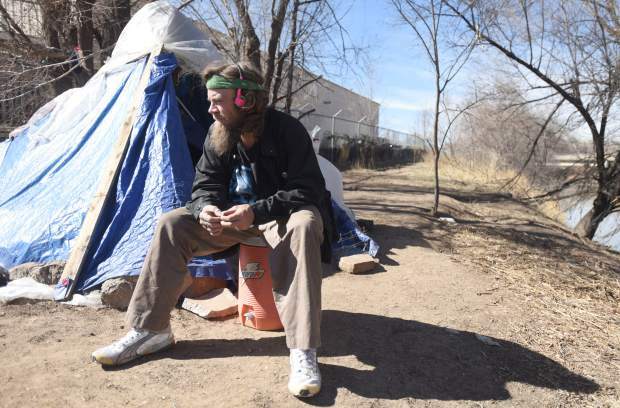 The next installment will examine the issue of homelessness in downtown Greeley. John Delgado sleeps in a shed beside a lawnmower and a bike behind a house in Evans. The shed stands about 6 by 8 feet. Delgado, a 65-year-old U.S. Marine and Vietnam veteran, calls it home. He hangs his clothes from a few nails on the wall, and his only light comes from a single, naked light bulb he rigged from the ceiling. When Delgado goes to bed, he climbs past stacks of boxes and outdoor equipment and makes room for his constant companion — a pitbull named Cash. Thin walls and a little insulation are all that separate Delgado from the outside cold. Delgado is thankful for the space. 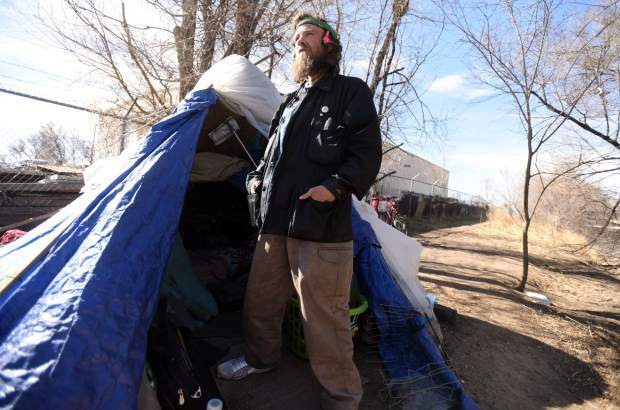 He lived on the streets, under bridges and along Greeley’s riverbanks for almost a year. A couple years ago, he met a woman half his age and they became lovers. He calls her his wife and her parents, siblings and nephew live in the house. She’s in prison now, Delgado said. Her family lets him live in the shed. He said it’s hard for him to accept help and even harder to ask for it. It took him nearly a decade after his time in Vietnam to look into his military benefits. He said his machismo and pride got in the way. So now in return for the portion of a backyard storage shed he and his dog call home, he tries to help out around the house, take care of the lawn and pay for the property’s utilities. He moved to Colorado in 2010 with his partner because he found the climate agreed with him and helped soothe his war wounds. His skin used to break out and tear open as sores formed across his body; in Colorado that stopped. So he moved to Greeley. He had a small house and a nice life. After a couple years his partner died. 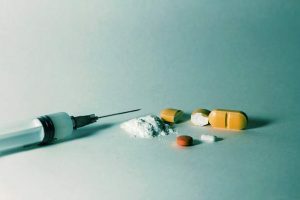 Around the same time he ran through his pain medication, the addictive kind such as oxycodone, a little faster than he should. Then he turned to illegal drugs. The police picked him up with, as he says, $20 of meth in his pocket. He’s still resolving legal problems stemming from that. He’s not proud of it, but he doesn’t hide it either — he’ll quickly tell anyone that he’s clean now. That’s when Delgado found himself living on the street. He’d sleep under bridges most of the time, getting food wherever he could around town. He still had some money coming in from military disability and benefits, Delgado said. He would stretch those funds as far as he could, always saving just enough to get him and Cash off the street and into a motel on the coldest winter nights. Veterans Affairs found him a place to stay in Denver — he thinks it was an apartment of some sort. But it didn’t allow dogs, and Cash was the only link he still had to his old life with his partner. He refused to say goodbye. “You give up your son, then I’ll give up my dog,” he said. Delgado’s story isn’t much different than a handful of veterans who are homeless in the Greeley area. His reasons for getting there, pride and fear, aren’t much different either. 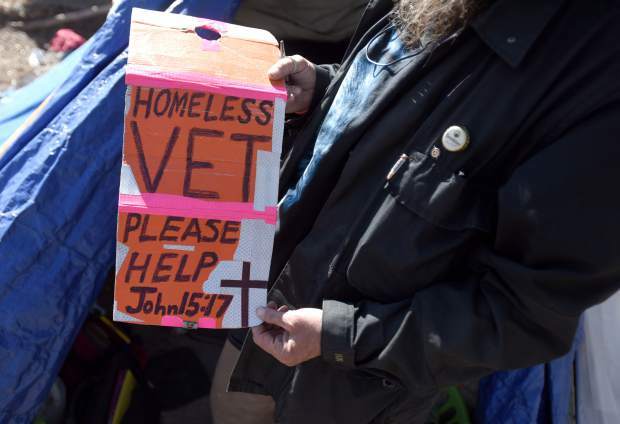 Homeless vets do have a much wider variety of resources available to get them off the street. But for those reasons, and others, many don’t use them. Melanie Falvo, United Way director of community impact, is chairwoman of a collaborative effort between Weld and Larimer County agencies that works to address the issue of homeless vets in their region. It’s a new group that started this past year during a push from the governor’s office. In a little more than 12 months, the organization had identified 261 veterans experiencing homelessness in Weld and Larimer, she said. They’ve managed to find places for 121 of them. From January through March this year, the group identified 43 homeless veterans and managed to house 28 of them, Falvo said. Some homeless veterans don’t want help, and they can become what professionals call chronically homeless — those who spend years living on the street or without a home. Some veterans prefer that kind of life. Of the 261 homeless veterans the group identified, 41 are inactive — which can mean anything from moving away, ending up in jail or just dropping off the grid. Wesley Waldvogle is chronically homeless. He served in the Army, but only for a handful of months before his actions required his early departure from the military. Waldvogle doesn’t want a house, a normal job or a lot of money. He wants to live on the land and make just enough to get by. Maybe if he had a car, he would visit his daughter, but that’s all he wants. He said the life he sees most people aspire to isn’t for him. But most veterans do want to find a job, a place to live and a sense of stability. Most want a home. “They don’t want to be homeless. 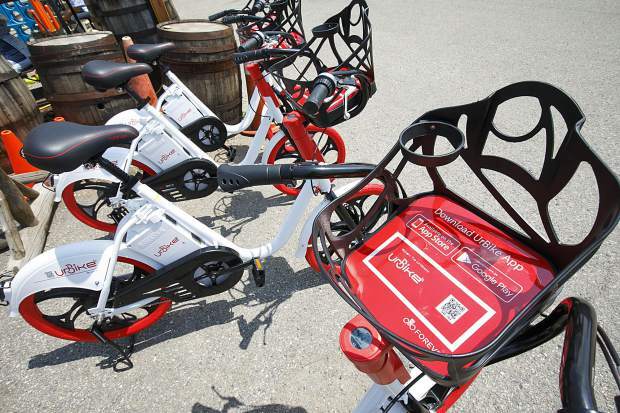 They’re not lazy,” said Weld County Veteran Services supervisor Deon Harris. Getting a homeless veteran into a home is the ideal solution. But getting them to ask for that help, or even realizing it’s available, can be challenging. When Harris was discharged from the Army, he got a course on adapting to civilian life — that’s what military folk call normal, non-military living — and his veteran’s benefits. The brief explanation, a two-week course, wasn’t nearly enough, he said. A lot of folks join the military with nothing more than a bag of clothes and a couple possessions. When they get out of the military, if they don’t have a spouse or family members to lean on for help, they can wind up in a tough spot. Christopher Aguilar, a transition and care manger with Veterans Affairs who serves the northern Colorado area, said he deals with many veterans who don’t receive care that could help them live a comfortable and healthy life because they don’t know what’s out there. “One of the things that is becoming apparent to me is a lack of information,” he said. 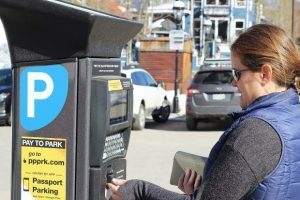 “I think a lack of information leads to poor choices,” Aguilar said. Harrison Swift, a U.S. Marine combat veteran, works with Volunteers of America. He’s a veteran specialist with Supportive Services for Veteran Families — a program funded by the U.S. Department of Veterans Affairs. Even down the road, veterans who find a support system in family, friends or a marriage can find themselves in need of help if those supports systems fail or weaken. Some might find themselves dealing with post-traumatic stress disorder in addition to other injuries they sustained during their service, and they can turn to drugs or alcohol to help soothe those issues. “I think mental health and substance abuse issues really in most cases — not in all — do go hand-in-hand,” Aguilar said. If a veteran has mental health challenges and self medicates with alcohol or drugs, it can be far more difficult for them to find housing, Aguilar said. He even thinks many services have policies against those who use drugs. 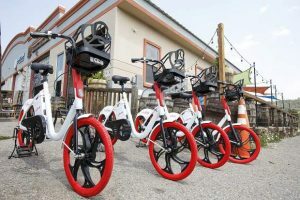 “We find, in order for folks to keep housing, the more engaged they are with substance abuse or mental health programs, the more successful they can be,” he said. Substance abuse or mental health challenges aren’t unique to homeless veterans, he said, and it’s not true in all cases. People can end up homeless without any mental health or substance abuse issues. “But it is pretty prevalent in most cases,” he said. Even those who end their military career without PTSD or any other mental challenges may still have to confront the stigma of mental illness that can accompany their veteran status, making them feel ostracized, Aguilar said, and unwilling to reach out to others for help. Sadly, those assumptions can lead to actual mental health issues, he said. American Legion Post 18 Commander Jim Hartshorn and the other members of Greeley’s American Legion Post meet with veterans, hear their stories and try to find them help. The goal is to find them a place to stay so they can build a routine and create some stability or even a normal life. That’s probably the biggest issue for some young veterans, he said. When they’re in the military, they’re used to having their life, day and schedule planned for them. When they get out of the military they’re often left all on their own. When someone is used to, or conditioned for, structure loses it, he said it can create a lot of anxiety in veterans. Leaving the military, a job or a spouse means losing that structure. Many times, that’s why their life falls apart. And losing their home soon follows. Richard Mariani, an Army veteran, isn’t homeless anymore. But he’s quick to remember when his marriage ended, and he spent about a year living out of a storage unit or in a tent behind his brother’s house. He never went to ask for help. He knew he might qualify for something, but the idea he might not, that he might get rejected, was too scary. His self-esteem couldn’t take any more hits. He was already homeless, and the idea he might not be good enough for benefits, might have done something else wrong in his life, was too much to take. “The Army taught me to take care of myself,” he said. That’s how he sees it. Living in a storage unit or in a tent, no matter how uncomfortable, was taking care of himself. In the cold Greeley winter, in a tent behind his brother’s house, that pride held out. If Harris can only get veterans through his office door, he’ll do everything in his power to find a way to help them. If veteran services can’t help, he connects them with other groups in the community who can. There is help available. He just has to get them to accept it. When they do, there can be some great success stories. Swift remembers a veteran he managed to help find a place to live recently.